Hiking Mt. 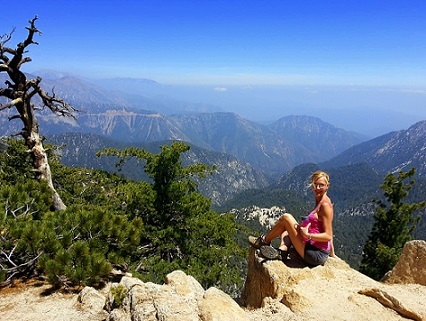 Waterman in Angeles National Forest, California | FITAPPY Fitness & Healthy Plan to Change your Life! The weather was really beautiful this weekend! Due to my busy schedule, I try to spend as much time as I possibly can outside on the weekends. This Saturday we decided to revisit an old hiking trail in Angeles National Forest: Mt. Waterman. I haven’t been there in many years – years before the fire. I forgot how peaceful and gorgeous it is! This picture was taken about halfway through. I would like to encourage you to take advantage of this sunny season wherever you are and walk, hike or go a nearby park and have fun! Outdoor activities are good for you, your body and your mind! Don’t forget to stay hydrated! This entry was posted in Fitness, General and tagged activity, Angeles, burn fat, California, easy, exercises, fitness, Forest, health, hiking, Los Angeles, lose weight, mountains, Mt Waterman, National, physical, skiing, trail, view, weight loss, Wilderness. Bookmark the permalink.